Cf. 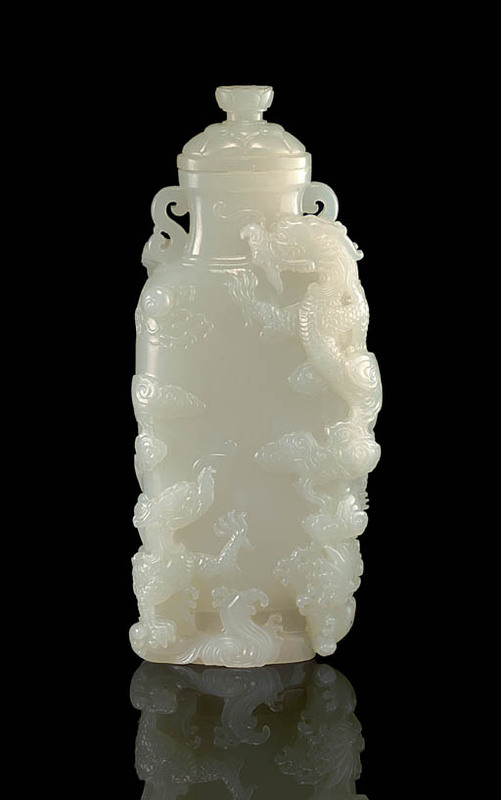 another vase carved in high relief with dragons in pursuit of a flaming pearl, from the Qing court collection, illustrated in Jadeware (III), The Complete Collection of Treasures of the Palace Museum, Hong Kong, 1996, pl. 63.